The community of headache experts is seriously excited. Finally a new migraine drug can bring relief to millions of migraine suffers. Experts are speaking about a “paradigm shift”, a “new era of treatment”, a “game changer”. In fact, new large clinical trials have shown that the new drugs are safe, effective and work much faster. The new group of drugs is called “CGRP-Inhibitors”. CGRP is short for “Calcitonin-Gene-Related-Peptide”. This peptide is known to play an integral role in the pathophysiology of headaches. CGRP is responsible for the dilation of blood vessels in the brain, inflammation of nerves, and transmission of pain signals from blood vessels in the brain to the nervous system. CGRP-Inhibitors are human monoclonal antibody targeting the peptide itself or receptor of CGRP, thus inhibiting the peptide and stopping the pain. The drugs are preventative drugs. Meaning, they should be taking on regular basis to avoid getting migraines. Last month at the American Headache Society (AHS) annual scientific meeting researchers presented and discussed all large clinical trials for these drugs. Outcome: The new drugs are safe, effective, work much faster and have a very low side effect profile. “We are about to enter an era where we have preventive treatments specifically for migraine. We are standing at the edge of an incredible development,” predicted Peter Goadsby, MD, PhD, FAHS, professor of neurology at Kings College London and chair of the AHS science program committee. 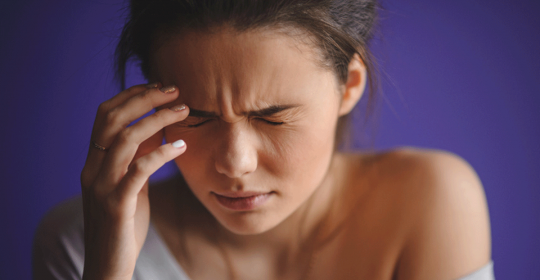 Headache disorders are not only extremely painful but also harming the daily life quality tremendously. Nowadays, neurologists have very effective ways to treat headaches. Most people are suffering unnecessarily. Our experts treating all kinds of headache disorders on daily basis and can help you to say “goodbye” to your headache.